Starbrite's Super Green is an incredible general purpose boat cleaner. A diverse boat cleaner to be used on metal, fiberglass, painted surfaces, mica and finished wood. 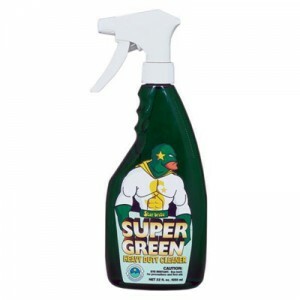 Starbrite's Super Green is an incredible general purpose boat cleaner. Diverse and for use on metal, fiberglass, painted surfaces, mica or finished wood. Starbrite Cleaner-Super Green is made to clean dirt, grease and oil. It's safe and easy to use and does not contain acids, alkalies or other harsh chemicals. All you need to do is spray or wipe on, then simply wipe off. Starbrite Cleaner-Super Green is also made with a biodegradable formula.